29 August 2017, New Delhi: The Department of Consumer Affairs had issued an advisory a few months back defining mandatory Service Charge at restaurants as an Unfair Trade Practice. 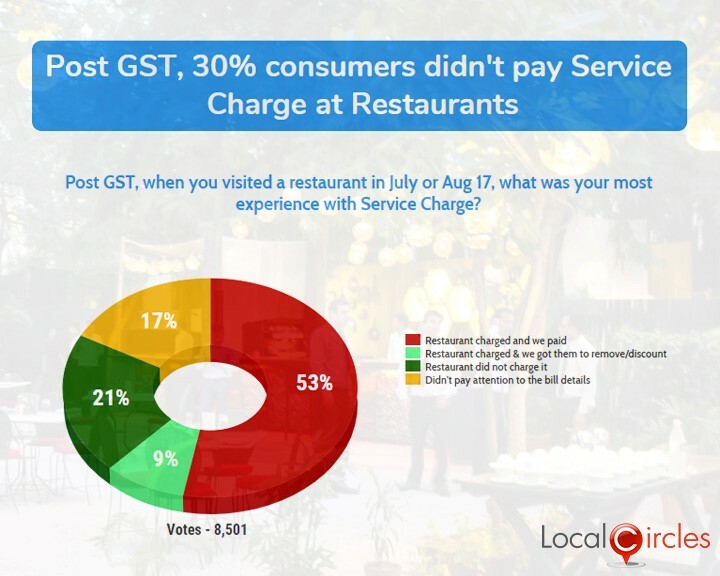 To conduct a pulse check on the working of restaurants and consumer experiences on this, LocalCircles conducted a poll and asked people what was their experience with service charge when they visited restaurants in the last couple of months, post the introduction of GST. 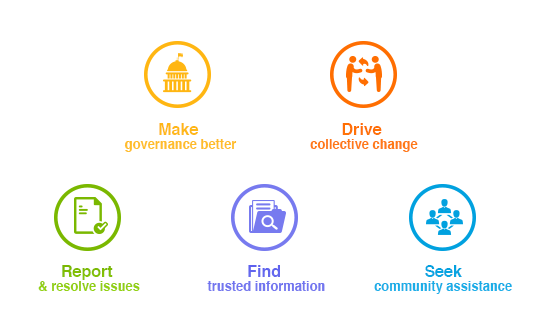 The poll received more than 8,500 responses. 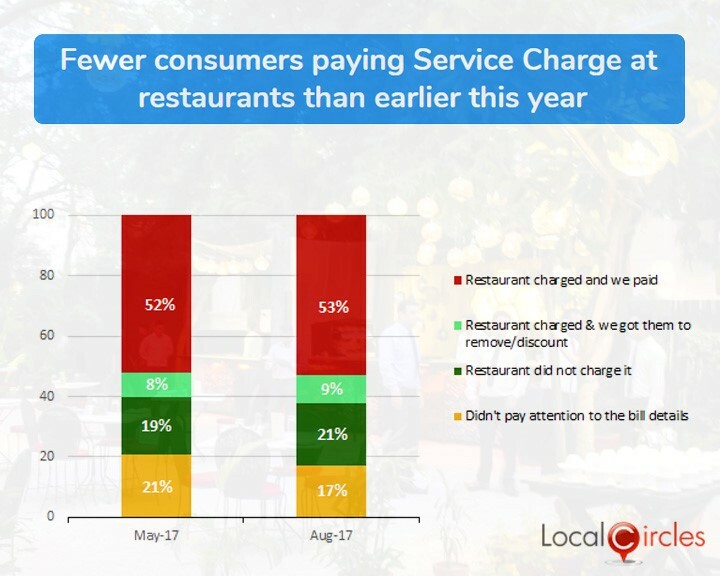 It turns out that 30% consumers did not pay a service charge in restaurants (this included 21% where restaurant did not charge service charge and 9% where restaurant charged but the consumer got it removed). 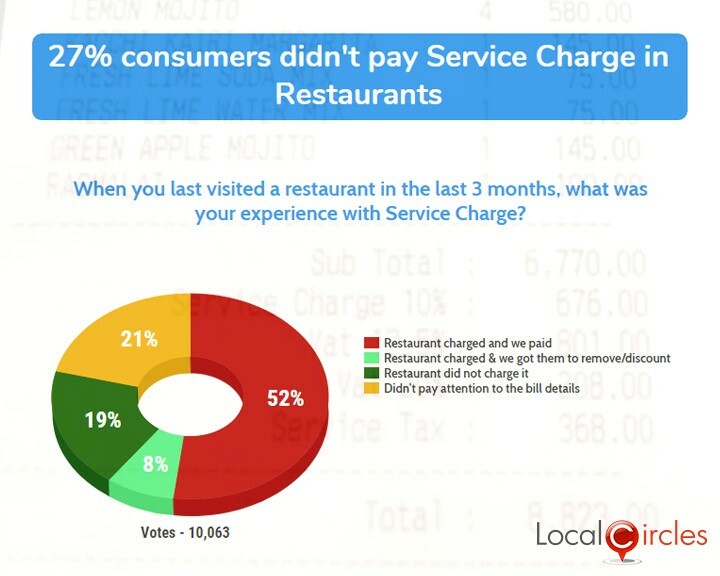 53% consumers were charged service charge which they paid while 17% consumers did not pay attention to the billing details and where unsure if service charged was added to their bill. In the pulse check conducted in May ’17, the percentage of people who did not pay service charge at restaurants stood at 27%. The number has now increased to 30% which means that more consumers are now standing up to the unfair trade practice of mandatory service charges taken by the restaurants. The percentage of people who got the service charge removed from their bill also showed a marginal increase from 8% to 9%. The number of restaurants which did not charge service charge also improved from 19% in May to 21% in August. Consumers are now also more conscious to what the restaurants are charging them. This is evident from the fact that the percentage of people who did not pay attention to their bill reduced from 21% in May to 17% in August. The Department of Consumer Affairs had earlier through the advisory, made clear that service charges are nothing but forced tips and to force a consumer to pay a tip is unfair. The department has empowered the consumers in this matter and they should assert their rights and stand against forced service charge at restaurants. Consumers in the online community Connected Consumers on LocalCircles have also been discussing their experiences of standing up against the unfair trade practice of Service Charge. While some consumers reported that the restaurant almost readily agreed to take off the service charge from the bill or provide a discount, for some consumers it was an unpleasant experience discussing Service Charge with restaurant managers after a family or business meal. Many consumers suggested that if there was a way for them to identify restaurants that don’t levy service charge before hand, it would be of great help as they would rather only go to restaurants that don’t levy a forced Service Charge. 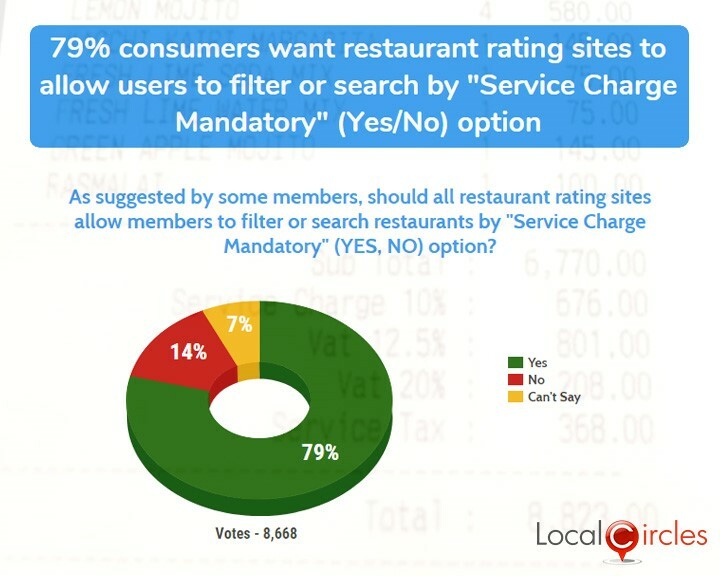 To quantify the impact, LocalCircles conducted another poll asking if restaurant rating and review sites should have a search filter for consumers to identify restaurants on the basis of Service Charge. In this poll, 79% citizens said they wanted restaurant rating sites to allow users to filter or search by ‘service charge mandatory’ (yes, no) option. Out of the 8,668 citizens who voted, only 14% voted against it 7% were unsure about it. Consumers said that such a filter would help them make informed choices while selecting a restaurant.